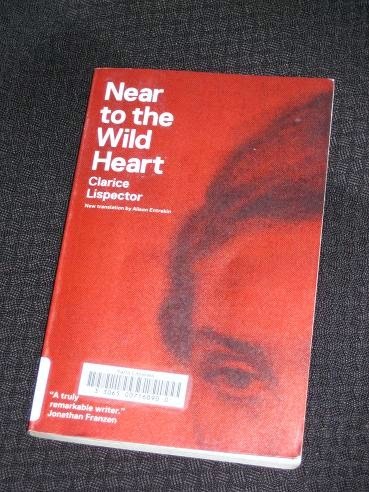 Near to the Wild Heart (translated by Alison Entrekin, published by New Directions) was Clarice Lispector’s debut novel back in 1943, when she was just twenty-three years old. It’s a swirling, Woolfian tale of a young woman who stands out for her inability to conform to comfortable bourgeois norms – hers is certainly a mind less ordinary. Joana, the main protagonist of the novel, is a woman trying to work out what she wants from life. She’s beautiful but cold, brilliant but unapproachable, a woman who stands out for good reasons and for bad. Eventually, she deigns to marry the handsome Otávio, even though he’s not really a match for her. However, it’s clear from the offset that theirs is a relationship always destined to explode. Near to the Wild Heart is a fascinating story written in two parts. While the first looks back at Joana’s childhood and introduces the novel’s main players, the second focuses on the disintegration of her marriage. There’s a mix of description and internal monologues, and the writer slowly develops her creation’s relationships, introducing important figures, such as her childhood teacher, and gradually setting her beside other women. There’s no doubting who the star of the show is, though. While her aunt’s words might be slightly hyperbolic, she does have a point. Joana is formed by her disturbed childhood, and the early death of her mother, then her father, contributes to her unusual attitude towards life. The childhood Joana was a stormy character, but the finished product is as hard as ice. As a woman she is self-contained, as beautiful and unforgiving as a diamond, quite able to dispense with the need for human company or affection. She’s obsessed with working out what she is and what she wants from life, hoping to get to the bottom of what ‘living’ actually entails. Lispector contrasts this analytical approach to the animal-like living of other characters in the novel, highlighting the conflict between just living and really existing. “The certainty that evil is my calling, thought Joana. There’s a feeling of superiority wrapped up in these thoughts. However, as she learns more about life, she also senses that other women, the dumb, cow-like figures she meets, have something she’ll never have. Despite herself, she is forced to acknowledge their natural, unthinking power over men. For a woman who is used to having complete freedom, being forced to share it, to give it up, is a painful experience, and once she realises her loss of power, it’s only a matter of time before her thoughts, as always, turn into actions. Having decided that her marriage is a mistake, she calmly sets about dissolving the union. Near to the Wild Heart, with its periods of stream-of-consciousness writing, is certainly a blistering debut work. Comparisons with Woolf and Joyce are inevitable (particularly as the title comes from a line by Joyce); however, the truth is that Lispector hadn’t even tried their work at the time of writing the novel. It’s something that’s hard to believe when you experience Joana’s internal monologue, almost an inquisition at times. Her frantic switching of thoughts, with quick sentences darting between ideas, definitely reminds the Anglophone reader of the writers named above. That’s not to say that it was a complete success. I felt that the internal monologues were a little too abstract at times, and the first half gets bogged down towards the end (I was starting to get a little restless). The second part, though, is much better, the examination of the breakdown of the marriage wonderfully undertaken. It would be hard to say that Joana is more human (I’m not sure that’s possible…), but she’s certainly a more rounded character than is the case towards the end of the first part. Stu – Like I said above, I liked it, but it didn't completely win me over. I'll definitely need to try another when I get the chance. I stumbled upon a review on Lispector’s complete stories the other day and I’ve put it on my wishlist then and there. Seems like she’s really a writer worth of try.